This month’s newsletter contains reports from two recent events: a resilience assessment workshop using the “Indicators of Resilience in SEPLS” in Japan; and a seminar on sustainable development in Malaysia. We also have several announcements from partners: a call for proposals from the GEF-Satoyama Project; a call for nominations for the MIDORI Prize for Biodiversity; a funding opportunity for migratory species conservation; the theme of this year’s International Day of Biodiversity, including a call for submissions of relevant information; and the publication of Wegel Magazine on soil conservation. We are also happy to share an introduction to STEP Guinee, one of the most recent additions to the IPSI Partnership, and a case study we received from the Inter-Mountain Peoples’ Education and Culture in Thailand Association (IMPECT) and the Forest Peoples Programme (FPP). As always, we hope you will contact us to submit any new case studies or other information about your activities, or if you have any questions or comments for the Secretariat. On 2 Feb. 2016, the United Nations University Institute for the Advanced Study of Sustainability (UNU-IAS) organized a Workshop in Suzu City, Ishikawa Prefecture, Japan, using the “Indicators of Resilience in Socio-ecological Production Landscapes and Seascapes (SEPLS)“. The event was co-organised by IPSI member Kanazawa University, and the local government of Suzu City. A questionnaire survey was conducted in advance, and then 15 local people participated in the workshop itself, engaging in active discussion about resilience in the region. The workshop was confined to the Hiki District of Suzu City, and found that, while the district is gifted with abundant natural resources in terms of agriculture and fisheries as well as associated knowledge and institutions, it is also challenged by depopulation with a combination of declining youth increasing elderly populations. The results of the workshop will be reported back to the local communities as a source of information for planning and implementing activities for revitalization of the local communities. The Indicators of Resilience in SEPLS were jointly developed under an IPSI Collaborative Activity by Bioversity International, along with UNU-IAS, UNDP and the Institute for Global Environmental Strategies (IGES). For more information and to download the indicators and a Toolkit for their use, please see the IPSI website here. 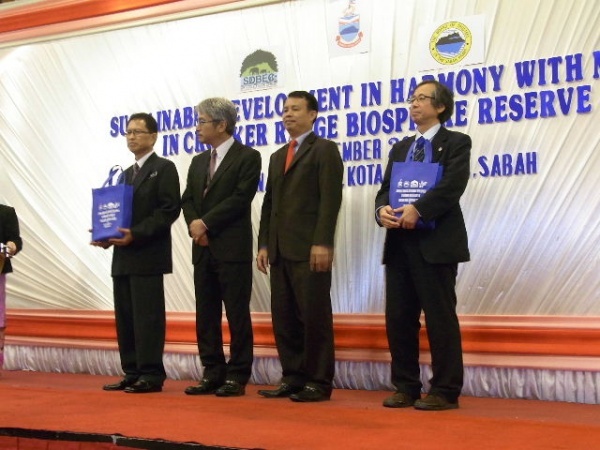 A seminar on “Sustainable Development in Harmony with Nature in Crocker Range Biosphere Reserve” was held in December 2015 in Kota Kinabalu, Sabah, Malaysia. The seminar was organized by the Natural Resource Office (NRO) and Sabah Parks of the Sabah State Government with support by the Japan International Cooperation Agency (JICA), both of whom are IPSI members. The Crocker Range Biosphere Reserve (CRBR) has been registered under UNESCO’s Man And Biosphere (MAB) program with the help of JICA’s “Borneo Biodiversity and Education Conservation Project (BBEC)” project. One innovative practice in use by Sabah Parks is the “Community Use Zone”, which aims to manage land collaboratively with the local residents within the MAB site. Another is the “Ecolink Initiative”, which is still in the initial phase, but is expected to connect the Mt. Kinabalu National Park and CRBR with a corridor basically consisting of cultivated lands managed sustainably by local farmers. Prof. Hiroyuki Matsuda of IPSI member the Yokohama National University gave the keynote presentation on the background and future perspectives of the MAB program based on the proposed “Lima Action Plan”, which is expected to be completed in March 2016. Mr. Wataru Suzuki of the IPSI Secretariat also made a presentation on the Satoyama Initiative and the linkage between SEPLS and Biosphere Reserves. Mr. Gerald Jetony of NRO wrapped up the seminar on behalf of the organizers. Mr. Jetony was present at IPSI-6 in Siem Reap earlier this year, where on behalf of NRO he offered to host a future IPSI meeting in Sabah. The proposed meeting as an opportunity for many of IPSI members to learn about the many interesting practices in Sabah and visit the project sites. The GEF-Satoyama Project, an IPSI Collaborative Activity implemented by Conservation International Japan, is seeking subgrant projects that enhance livelihood, conservation and sustainable use of biodiversity and ecosystem services, which take into account the protection and use of traditional knowledge in conservation measures, as well as the equity among various population groups in the project sites including indigenous peoples, women and other vulnerable groups. The Call for Proposals is open until 23 February 2016. For more information, please see the GEF-Satoyama Project website here. The IPSI Secretariat recently received a notification that nominations are now open for the 2016 MIDORI Prize for Biodiversity. The MIDORI Prize is an international prize co-organized by the AEON Environmental Foundation and the Secretariat of the Convention on Biological Diversity, which honors three individuals who have made outstanding contributions to the conservation and sustainable use of biodiversity. We encourage you to consider nominating any IPSI members or related people from your networks. The call for nominations remains open from 15 February to 30 June 2016. More information can be found, and nominations can be made, at the MIDORI Press website here. Our colleagues at IPSI member the Secretariat of the Convention on Biological Diversity recently sent an announcement of a funding opportunity within the Mohamed bin Zayed Species Conservation Fund to support the protection of endangered species. Since many IPSI members are involved in issues relevant to this theme, we are happy to pass this information on to our readers. We hope you will consider applying to this opportunity and helping IPSI strengthen its ties with other related international processes. The deadline for applying for this grant is 29 February 2016. Instructions for applicants can be found here. IPSI member the Secretariat of the Convention on Biological Diversity (SCBD) recently announced that the theme of the International Day for Biological Diversity (IDB) on 22 May 2016 will be “Mainstreaming Biodiversity; Sustaining People and their Livelihoods”. Since one of the main concepts behind the Satoyama Initiative is mainstreaming biodiversity for sustainable livelihoods, this theme should be extremely relevant for many of our members. SCBD is also asking Parties to the Convention and other relevant organizations to provide examples of mainstreaming that supports sustainable livelihoods in the form of case studies, video clips and other information products. Please contact SCBD directly if you would like to submit these. The full announcement can be seen on the CBD website here. This issue has the theme of “Healthy Soil for Healthy Lives”, and features a number of informative articles on soil-related topics with relevance not only in Ethiopia, but around the world. The issue is available for download from MELCA Ethiopia’s website here. 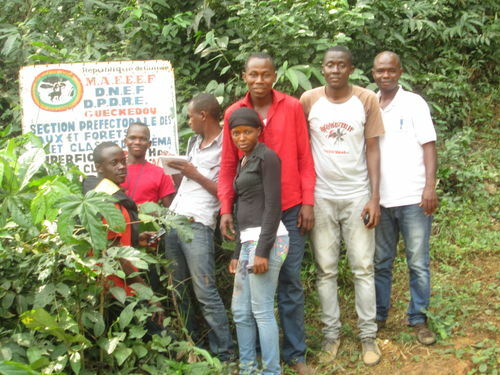 ONG Seeking To Equip People (STEP) Guinee is a Guinean registered Non-Profit Organization dedicated to the promotion of sustainable livelihoods, environmental education, conservation and biodiversity for the benefit of humans and the environment. The organization aims to uphold the principles of the United Nations and the African Union. 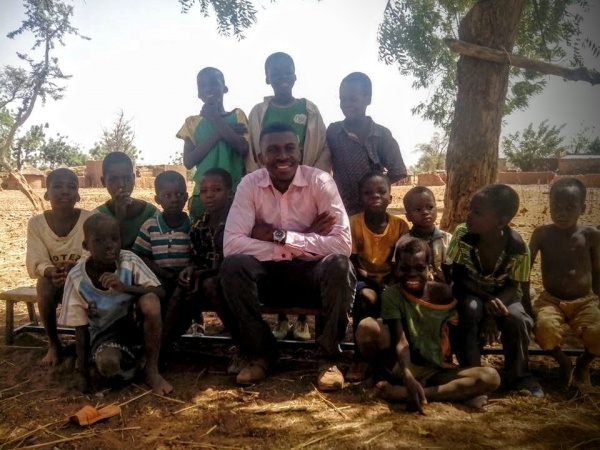 The organization focuses its efforts mainly on women, children and young people by promoting environmental education in Guinea. It helps to address challenges to their development while utilizing them as positive agents in the promotion of sustainable livelihoods and nature conservation through facilitated collaboration among various partners in their communities. More information on STEP Guinea and their activities is available on their website here. The IPSI Secretariat actually received this case study report from partner organizations the Inter-Mountain Peoples’ Education and Culture in Thailand Association (IMPECT) and the Forest Peoples Programme (FPP) among the founding materials for the partnership, but only recently managed to include it in our official list of IPSI case studies. We are happy to finally be able to share it publicly with our members and friends, as it contains a great deal of rich information that has helped to guide IPSI into the successful partnership it is today. This research project studied the sustainable, customary use of biological resources by highland communities in Northern Thailand. It was undertaken with the objectives of studying the knowledge, customs, and traditions practiced by the Hmong and Karen (Pga K’Nyaw) groups in the management of natural resources and biodiversity, in terms of both the sustainable use and conservation of these resources. The project also studied how highland communities have adapted to the impacts of externally imposed laws, policies and development processes. The study has the further objective of being used to lobby for the effective implementation of government policies in line with Article 10(c) of the Convention on Biological Diversity (CBD). The study used a Participatory Action Research (PAR) approach. Interviewing, observation, and data analysis were done jointly by community leaders, researchers and the advisory team. Much more information can be found in the full write-up of the case study on the IPSI websitehere.